A Novel Memoir or a Memoir Novel? I expected one of the three I was to drive to our book group member who lives in the countryside would call and tell me it was too dangerous. Gale force winds were wailing outside. They all came, intrepid and determined not to miss our meeting. At the first roundabout in the countryside I noticed a strange grating noise that became stronger and stronger. I stopped and looked under the car. The exhaust was in the right place and nothing seemed amiss – the vehicle has only just had its MOT! I started up and the noise increased. Help! I looked again with a friend who pulled out a stout little branch. That was it! We arrived safe and sound to a blazing fire and warm welcome. 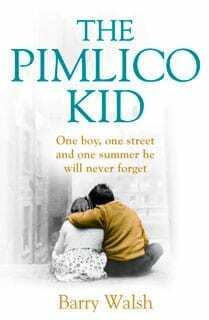 The same for our book to be discussed: The Pimlico Kid. Although it was introduced as ‘a light read’, we all had got a lot out of it. Unanimously we praised the way the young people seemed to have compassion, as I noted in my blog written before the meeting. I wondered whether that was too benign a picture of young people. There are so many accounts of bullying, more than Griggsy, this book’s bully, ever gave, though he was nasty enough. It is a story of young love, the first love that is supposed to haunt you for the rest of your life. It certainly did for Billy, the narrator of this book. We all liked the way the prim and severe librarian took young Billy under her wing because he was the only young person to enjoy reading. She was almost a caricature of the spinster librarian who loves books more than people, until she became the confidante of young Billy. That was an interesting strand in the book and good publicity for Pimlico Library where the launch, appropriately, took place. Mary, who has met the author, said that Billy Driscoll, who narrates the story, is a conflation of a number of people including the writer himself. It read like a memoir. When I wrote 1955 The Summer When… I was warned that memoirs had fallen out of favour after the popularity of the ‘misery memoir’ had diminished on the discovery that some were faked. The attractive stamp of authenticity had been betrayed. Recently, however, I read that true stories are returning to favour. The Pimlico Kid had the ‘feel’ of a memoir, even if it wasn’t one. I think that’s a compliment. 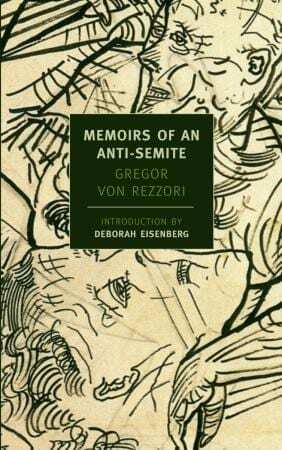 Memoir of an Anti-Semite – what a provocative title! – is called a ‘novel’ in the blurb. I have already written somewhere in my blog that I met the author, Gregor von Rezzori, and taught his children. They are not mentioned. The only child that is referred to, dies. He was the child of von Rezzori’s Jewish wife – he had three wives, but not at the same time! But a memoir isn’t an autobiography and one can leave out chunks of one’s existence. Von Rezzori’s work is a memoir in the sense that the writer did live in Bucharest and study in Vienna. His parents did live in Bukovina, an obscure corner of the Austro-Hungarian Empire that was falling apart around them. He did witness the Nazi invasion of Vienna and the welcome they were given. From this insider view one gets a vivid account of a critical moment in history centred on the writer’s fascination with, and abhorrence of, the Jews, the latter attitude learnt from his parents and the society they kept. Unlike the author of The Pimlico Kid, the author of this self-proclaimed anti-Semitic memoir is self-opinionated as well as self-critical. Both von Rezzori and Barry Walsh have written novels which allow them the freedom to modify what actually happened to suit their purpose, yet both give a powerful picture – one of young people growing up in a poor area of London in the Sixties, and the other of childhood in the wilds of Romania and youth in Nazi Vienna and Berlin – seen through actual experience. A fascinating way to ‘feel’ history.